In today’s News & Notes, the Boston Bruins had some familiar faces back at practice on Friday, including Sean Kuraly, Todd McLellan is not expected to be the next coach in Buffalo and the Calgary Flames have signed Adam Ruzicka. Kuraly skated at Bruins’ practice with a stick in his hand wearing a non-contact jersey ahead of Friday’s practice. This is big news for the Bruins as this is the first time Kuraly has skated with a stick since breaking his hand on March 21. Kuraly is crucial to the Bruins’ lineup and has been arguably their best bottom-six player all season long. John Moore also skated for the first time since he was sidelined with an upper-body injury on March 25. He also sported a non-contact sweater at practice. 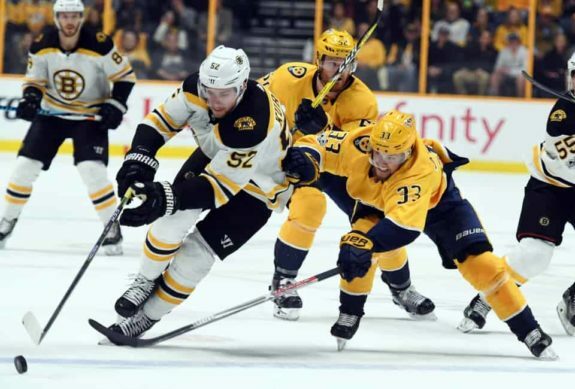 Meanwhile, Jake DeBrusk was given a maintenance day and is expected to play for the Bruins on Saturday but could be replaced by David Backes if he isn’t healthy. It’s been an interesting week for McLellan who was reportedly being courted by the Buffalo Sabres for their vacant head coaching position. While McLellan was granted permission to speak to the team and was considered a legitimate candidate, Bob McKenzie reported that he is no longer in consideration for the position. There was dialogue throughout the week but a deal was never formalized or finalized. McKenzie would also mention that McLellan is actually expected to become the next coach of the Los Angeles Kings which would be an interesting landing spot. It would be interesting as McLellan would then be coaching his third Pacific Division team in the last five years as he would have moved from San Jose to Edmonton to Los Angeles. The Flames made a minor transaction Friday when they signed Ruzicka, the 109th overall selection from the 2017 NHL Entry Draft, to his entry-level contract. The 19-year-old center finished the 2018-19 season with 35 goals and a career-high 78 points in 65 games in the OHL this season split between the Sarnia Sting and Sudbury Wolves. Ruzicka finished on third in the Wolves with 24 goals this season despite only playing in 30 of their 68 games this season. It’s a testament to how successful he was post-trade and how he’s able to adapt despite playing in an entirely new system with new teammates. 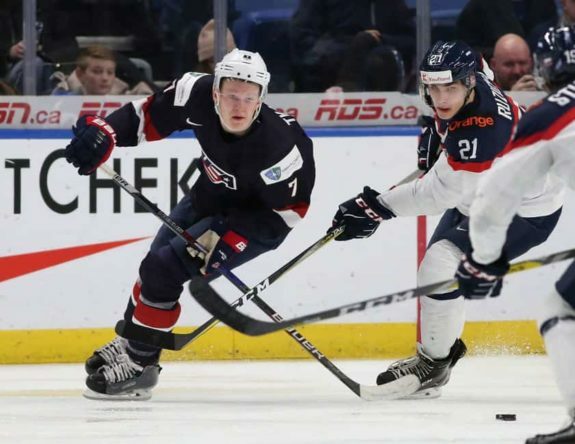 At 6 foot 4 and 200 pounds, he certainly appears to be a fit for the Flames somewhere down the line if he can develop properly at the AHL level.